Disclosure ~ This post contains affiliate links. When an affiliate link is clicked, I earn a small commission at no extra cost to you. That means, I can buy more MCT Oil Powder too! Thanks! If you are like me, and start your day off with a good cup of coffee, or with a keto type coffee, then you will for sure want to read on. BUT, if you don’t start your day with coffee, you will still want to read on. Ok, regardless, just read on as to why you will want to add MCT’s to your daily life no matter how you start your day. Ever since I started the ketogenic diet, I’ve been mixing MCT’s into my coffee in the morning, and in my protein shakes at lunch time. But I had to use it very sparingly. I noticed that anytime I consumed too much MCT oil, it would cause digestive issues. REALLY BAD ones for me. And, I am not fond of oily coffee, or even an oily feeling protein shake. After struggling to find an MCT oil that I liked I stumbled across Perfect Keto’s MCT Oil Powder. YUP.. I said POWDER! It’s been a literal game-changer for me because I’m able to use fairly large amounts of MCT Oil Powder to experience the mental clarity I loved so much but without the stomachaches I got with MCT oils. I had way to many “OH NO” moments when using MCT Oils and really have not missed those ONE BIT!! Once you read through this Perfect Keto’s MCT Oil Powder review, you’ll understand why I think this product trumps everything else on the market. As I said above, my decision to change from an oil to a power was because I read many testimonials of others like me, living a Keto lifestyle who just couldn’t handle MCT Oil and I started researching as I knew there had to be something for all those like myself, to still get the benefits without the tummy issues. In my research I found that many of the MCT Powders on the market have a lot of unnecessary fillers in them and I just knew I didn’t want to add more to my body that wasn’t needed. So, initially I was discouraged to give MCT Powders a try specifically because I didn’t want to ingest all of the unnecessary fillers that came with it. But after finding out that Perfect Keto MCT Oil Powder had absolutely zero fillers, I knew I struck gold. I love to use mine if a couple ways. In the mornings I have a mixture that I add to my coffee as I like to have a creamier coffee. I took 2 scoops of the MCT Oil Powder, 1 scoop of Perfect Keto Collagen, 2 tsp cinnamon, 1 tsp Stevia – mix all together in a container. I use 1 TBSP coconut creamer ( So Coconut, regular), and 1/2 TBSP of my MCT Oil Powder mixture, whisk with my little hand frother and then add my hot coffee as I continue to froth. OH MY!! This is better than any coffee shop you will go to. I usually have 2 cups of this coffee every morning. (sometimes 3). For lunch I generally have a protein shake. I love to add a 1/2 scoop of MCT Oil Powder into that as well. Mixes in so well and no taste to alter the flavor of my shakes. I love to add MCT Powder to my protein because I feel that it helps me recover faster and gives me more energy to get on with my day after a hard workout. Sometimes for lunch I will have a smashed avocado and my FAV thing to do is take 1/2 scoop of the MCT Oil Powder and mix it with 1TBSP of my Newman’s Olive Oil dressing (blend good with frother), and pour over my mashed avocado and eat with a few pork rinds. OH YUM!! You can use the same mixture for tuna if you like tuna and add it to a salad or a wrap. Now that you know why I love it, maybe it’s time for you to check it out for yourself. 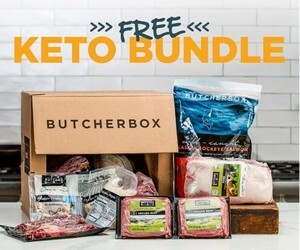 Head on over to Perfect Keto and grab all the Keto products you need. I have connected with the CEO of Perfect Keto and we have partnered up to give you a discount on the Perfect Keto MCT Oil Powder. This is the perfect way for us to continue enjoy our ketogenic diet! Thank you for sharing this keto coffee to us! Keto diet is trending nowadays. It is said to be effective by most people. For someone who is interested in this diet and loves coffee at the same time, I’m down for this. This also seems to be healthier than regular coffee. I will surely add this keto coffee in my daily intakes! This one’s the best thing that’s ever happened to me. Well maybe not, but you get it I love coffee! I’m glad I was on this site. I will surely have coffee in my diet.